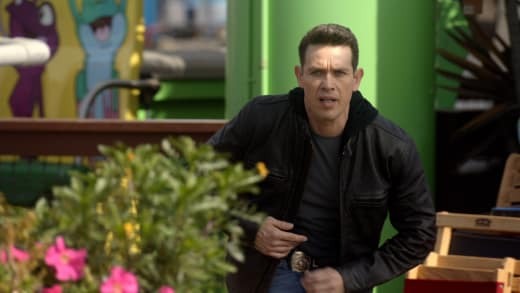 Kevin Alejandro has played Det. 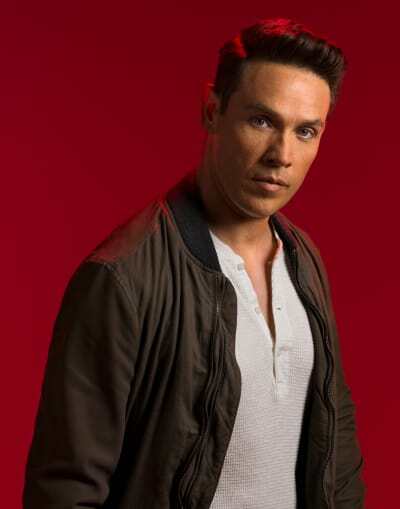 Daniel "Douche" Espinoza on Lucifer since its inception. 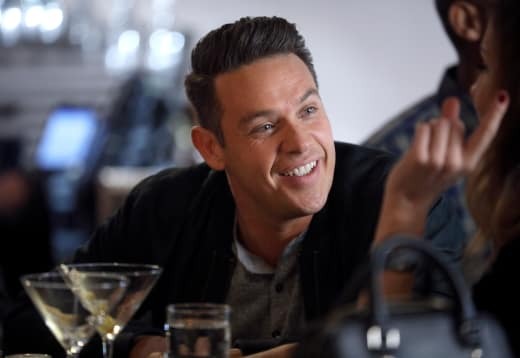 As Chloe's ex-husband and a somewhere sketchy detective to start, like Lucifer, he had a well-received redemption arc turning Dan into one of the most beloved characters on the currently-canceled series. As the Fox show went off the air, Dan suffered a significant blow when his girlfriend, Charlotte, got killed and flew off into heaven in the arms of Amenadiel to heaven. 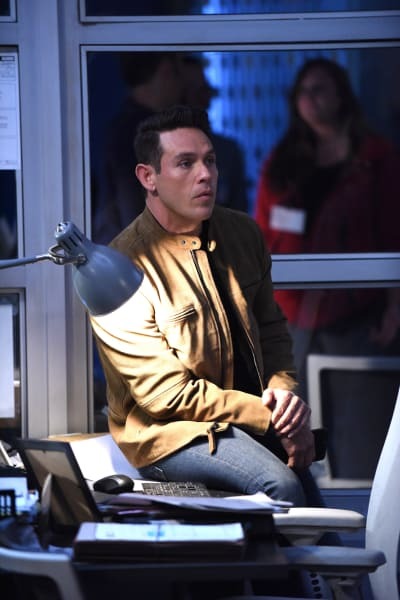 I had the chance to get Alejandro's reaction to the cancelation, Dan's arc over the three seasons, and what to expect on the upcoming two episodes on May 28. 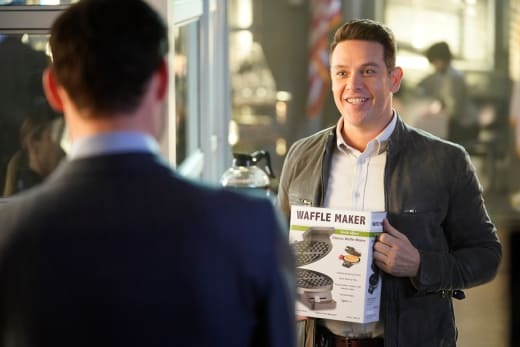 Like me, Alejandro is very pleased with the arc he played with one of the grounding characters on Lucifer. He noted, though, that if the series finds a home, we can expect Dan's arc only to get "bigger and darker." "To watch him go through what he goes through, as an audience member, if we've done our jobs correctly, I like to think that you could put yourself in his situation and see what you would do. And not judge him for the choices that he makes because the circumstances are so extreme that he goes by impulse. "I think as humans, as individuals, we do that in real life. So that's one of the things I love about playing this character, is that he goes by impulse, he leads with his heart. That's where a lot of his decisions come from. I think they've done a wonderful job with leaving him in that world." By the end of Lucifer Season 3, Dan's struggle to find happiness seems over. He's found love again, but just when he's given into allowing himself some joy, it gets ripped away. We only saw the very beginning of how that would have affected him (or will if #SaveLucifer is successful). "He teeters with unhinging," Alejandro says. "And if we were able to go into a season four, you would get to see him explore that world of unhinging. And sort of place bets as to whether or not he can come out of it. "They had some really cool plans for Dan, of how he dealt with the death of Charlotte and how he completely blames Lucifer for it. Make you question, as an audience, whether or not he can survive this one and come out in the end still a good person." I suggested Lucifer could never let the man he once considered a douche and now sees as a friend suffer that much without bringing him into his circle of confidence. That would have to be the moment when Dan is facing his greatest despair, that Lucifer tells Dan the truth about celestials, right? "Well, I don't know actually. That bit of information was not revealed to me. I would think, there would definitely have to explore how Chloe is dealing with it. I think in Season 4 it would be inevitable, right?" If there is another season, we decided we'd pitch that. And then the discussion turned to the elephant in the room. The cancelation of a show that received so much love when the word came down that it wouldn't return. Alejandro said, "I love this show, I love being part of it. It was such a shock when they said we weren't coming back because there was a big percentage of our hearts that felt, you know what, I think we will come back. And then when they said no it was like, 'NO!'" But that fan reaction has been something special. "Yeah, it's really cool, overwhelming, positive response that our fans have had. They really showed their faces." "That's a very funny turn of phrase. Considering it's Lucifer," I said. "Considering Lucifer showed his face. You know what I mean," Alejandro laughed. "They let their voices be heard, and people are listening. They're really searching for a home for it right now. 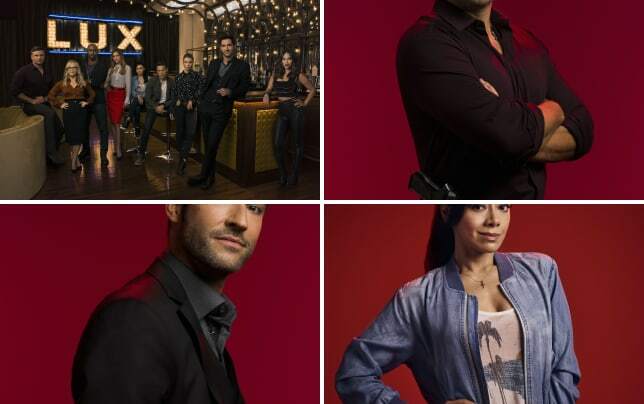 "I know that those guys, Peter Roth and Jerry Bruckheimer and the whole team that helped put Lucifer together, they love the show so much that they're not just gonna let it rest. If there's a door to knock on, they're knocking on it to see if there's any possibility that this would have a life after death." It only makes sense the fans would fight so hard to resuscitate a show that deals with the afterlife quite often. With a show that receives higher numbers streaming than with linear viewing, then maybe a streaming solution would be best for further seasons. "Right, exactly. Hopefully, people will keep that in mind and know that. I know for us it was overwhelming and just such a beautiful thing to see that so many people stood up for us and appreciated what we were trying to make." And it's not over yet. Two more episodes are coming up. Lucifer Season 3 Episode 25 is titled "Boo Normal," and Lucifer Season 3 Episode 26 is "Once Upon a Time," and directed by Alejandro. Related: Lucifer: Scarlett Estevez on Maze Trusting Trixie, Fun with Lucifer, Sleep-Away Camp & More! It's not about an alternate universe created by mum, as Fox printed, but Dad, who we will hear from for the first time. Alejandro had a lot of input into the installment with his direction and shared his thoughts in detail. "The story is, it's a 'What if?' world and the beauty of that episode is it's still the Lucifer universe, but we called it kind of a re-pilot because there were no rules set in front of us. It's a world of 'what ifs?' Things are slightly different in my episode. "It was really cool to find little nuances. This will be great little Easter eggs for our audience to search for, those little things that are slightly different. For one instance, which I can tease because there are photos out, Lucifer's convertible is black in the world that we know. But in my world, it's red. "There are all kinds of little nuances that I've changed throughout that I think the audience will have a good time trying to find. What's cool about it, also, is that it is kind of a re-pilot so I got to take some different liberties that it's still respecting the universe that we've created but just kind of alter it a little bit. Related: Lucifer Canceled After Three Seasons! "I got to pitch every idea I wanted. Luckily, we were all on the same page with it, so I had a lot of influence on what was eventually put on the screen. "Of course, we were such a collaborative set of people, producers, writers, and even the crew, that it's not just my hand and it's not just my voice. That's what makes our show so great, is it is collaborative. You've got a taste of everybody's voice in it. With my name on it." Alejandro said there are not huge moments you should look for, but he has planted some nuggets he believes fans will really enjoy. "There are certain areas within the show where I let you know, the way I've angled things, that our world's just a little bit flipped upside down. So look for those moments." "It's not going back to the pilot, there will be references to the pilot, that people will recognize when Chloe and Lucifer first met which I think will be really great for people. If you've followed us from the beginning, you'll pick up on those little things." And the timing of this fairytale, he believes, is about three years after mum has passed. While it wasn't the season finale, it was the final episode the cast and crew shot together. "I got to direct, that's what was really great, ending this season as the director with all of my friends and my crew. We just ended on such a happy, awesome, collaborative note. And I got to close out the show as the director, and it was pretty awesome." "Joe has a lovely voice, but the accent, I mean come on, the accent is needed to really play God." And if you're hoping you might get other clues about life after the Lucifer Season 3 Episode 24 reveal when Lucifer showed Chloe his face purely by accident, you won't get them from the two standalone episodes. They offer no information and could air anywhere in any season. 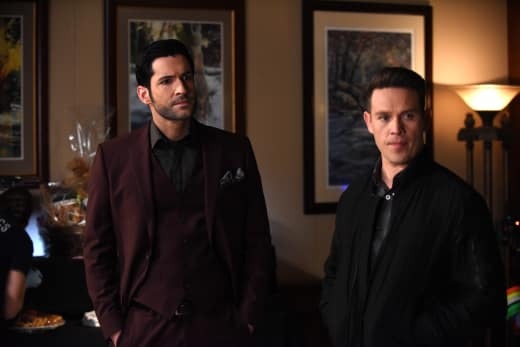 Watching two great episodes will, of course, give fans even more reason to regret the loss of the talented cast and crew behind Lucifer. It will also kick back into gear any slowdown in the #SaveLucifer momentum. Either way, though, Alejandro is looking on the bright side. "But you know what, even if it is, if it is over, what a beautiful way to go out, right? We ended really strong. We've revealed, finally, Lucifer's face to Chloe, so she knows it's real. The way people have responded to us, and how they've wanted more and they're fighting for more; it just shows that we've done our job. "We've done something that people like and that our fans are the coolest, the best. We talk to them every day; we have no qualms about talking with our fans because we're all in it together. "It's not just us making Lucifer, it's making it for them and their voices and what they want, we hear. And we try to incorporate that into our show. They feed our creativity. To hear them want more and fight for more and just show their love, is a poetic way to go out if this is the end."